I was reminded recently of how useful buyer personas can be as a foundation for a new marketing strategy. I was working with a client who had been successful at engaging and developing relationships with one or two segments of their customer base but recognised that they needed to build better relationships with more senior prospects. We could have gone through a research led segmentation process to identify where to target next but actually using buyer personas through a workshop-based exercise was a quicker more pragmatic approach that proved far more effective at gaining alignment about who these buyers were and also bringing them to life for the management team. Using buyer personas allows the prioritisation and focus marketing efforts in a more strategic way by bringing to life the people who influence the buying decision for our services. This can form the foundation of a content strategy and is a bit easier to relate to than a more formal market sector segmentation. They pinpoint a jumping off point for content idea generation and development and that enables us to consider the buyer journey for each group and ensure that we have appropriate content throughout the conversion funnel. They allow us to monitor activity against those key groups to ensure balance vs our portfolio priorities and can be shared company-wide to keep the business customer focussed. 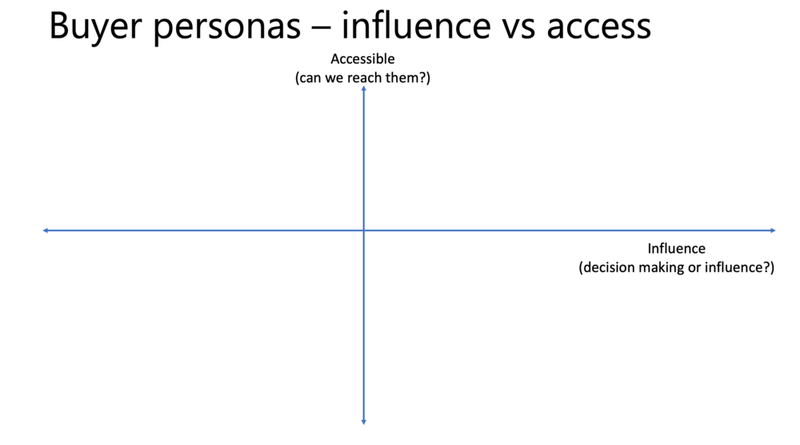 How to develop a set of Buyer Personas in a workshop? There are many different ways to run this sort of workshop but what I describe here is a method that I’ve used successfully. First of all make sure you follow all the marketing workshop fundamentals. You can see my guidelines here. • Immerse the team in what we know about our customers – ideally with a really sharp summary of existing market research. This could be issued as pre-work. • Having laid out the objectives for the day and got people warmed up, split the group into say 3 syndicate groups. • Brief the different groups think of a short number say 4-8 of buyer archetypes that represent the spread of key purchase decision makers or influencers based on their experience and understanding of the market. We want to represent buyer groups with distinctive needs so how many you end up with depends on how many distinct groups you serve. Clearly if you get to more that 10 personas it is going to become unmanageable. Capture these at a short description level on post-its in each of the syndicates. • Pick the main clusters and then ask the different syndicates to build the individual buyer personas to a format. The easiest way to do this is to think of a real person in the buyer group who you know, describe them, and expand out from there to more general. It is important to recall that we want to describe them as people not just roles. Here’s a format that I’ve use but there are many variations depending upon your business. Having built up a draft we need to decide whether a group is significant enough to be represented. Too many and we cannot focus, too few and they are indistinct. One way to do this in a workshop format is to ask the group to plot them out on a couple of axes of importance and influence. By the end of a good day’s workshop you should be able to produce a good set of working drafts for your main buyer personas. Beware the danger of welding profiles together to reduce the number as this can sometimes make them into lowest common denominators that will seem bland. We need to believe in these personas so champion preserving their character. After a period of reflection and refinement in the subsequent days you should be able to make a second draft. At this point you can also add some imagery of this person to your descriptions to enable the broader team to visualise this character. What I’d recommend doing next is to meet the persona face to face. 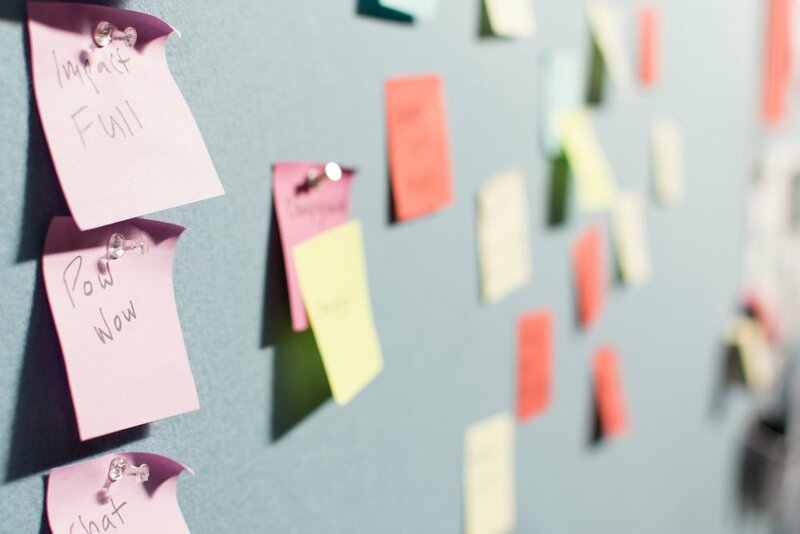 Make a programme of customer closeness with the agenda of meeting each of the buyer personas and using it as an opportunity to make your personas more vivid by adding real quotes and other texture. If you’d like help setting up and moderating your buyer persona workshop do get in touch. You can also see five effective ways to use buyer personas.